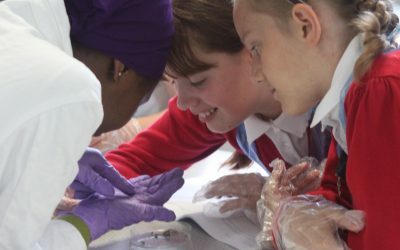 We were delighted to welcome 38 girls from 8 schools to join us for our STEM with Science day. The girls spent the day in our Chemistry, Biology and Physics laboratories and experienced a day of fun and challenging science expanding the curriculum. 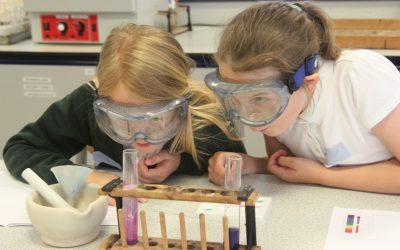 The girls learnt about acids and alkali’s in Chemistry, and were able to make their own test tube lava lamps. They designed, built and tested bridges in Physics. The girls also got to look and learn about birds’ eggs, feathers and nests using microscopes and dissections in Biology. Our fantastic science department made the sessions fun and engaging. We also had 14 sixth form subject experts helping out with the sessions throughout the day. 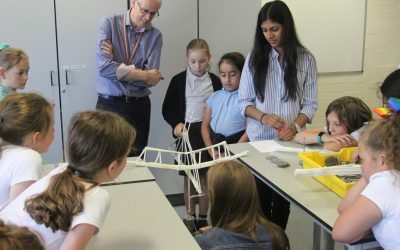 Thank you to everyone who came to take part in our science day, and a special congratulations to our strongest bridge builders from Hawthorne Primary school! For the full album of photos, please see our Facebook page.